Welcome to another Studious Saturday post! I have been on holiday this past week which meant that I was able to dedicate a lot of time to reading. In addition, I was very lucky to get tickets to the last stop on the Jodi Picoult UK Book Tour which included a pre-signed copy of her latest book A Spark of Light, as well as a Q&A session and photos with her to follow. 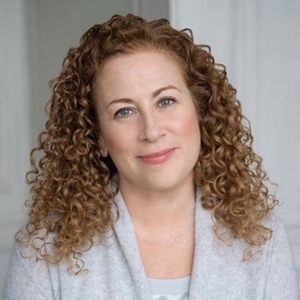 Jodi Picoult is one of my favourite authors and I had been looking forward to this event for a long time. I really enjoyed the Q&A session in particular, where she shared some insightful details of her life as an author which I would like to share with you today. The session started with a brief explanation of how and why this book was written and a short reading of the first chapter (which is also the ending of the book because the story is written in reverse). She revealed the backstory to A Spark of Light – the contrasting views of terminating a pregnancy that a woman may experience throughout her lifetime, justifying that one’s view on abortion may change when reaching 15, 30 and 50 years of age. Coupled with the current political controversies surrounding the topic in USA, she felt that now was the right time to write this book. I was particularly impressed with the research that she carried out prior to writing the book. She interviewed 151 women who had terminated a pregnancy to find out their motives and analyse their experiences which she would later on use to develop her characters. Most astonishingly of all, no more than 10 of those 151 women agreed to be involved in the book with all of them choosing to be written in using a pseudonym. Jodi discussed the stigma surrounding in the topic with eloquence and impartiality, something which I highly valued. When writing a book, she usually begins by drafting several pages of a summary with a brief outline, although she already has the twists planned out. The outline of A Spark of Light was 48 pages, mostly due to the reverse timeline. She discarded the first person narrative in A Spark of Light, which she used in most of her previous books, because there are 10 characters and she wanted to portray each story without confusing the reader. She has one unpublished romance novel written under a pseudonym of a mixture of her children’s names. The editor’s feedback was that it was too well written for the genre. Her favourite author is Alice Hoffman and some recently published books that she has read and recommends include Bridge of Clay by Markus Zusak and Vox by Christina Dalcher. Jodi usually writes about topics concerning society and there is an evident trend when looking back on her novels; she started by writing books where human emotions were explored, then proceeded to analyse relationships upon getting married, and finally decided to delve into controversial topics such as gun control and medical rights after her children were born. She explained that once an author sells rights for a movie adaptation, they are no longer involved in the production of the film. She was deeply upset at the ending of the movie adaptation of My Sister’s Keeper and had previously warned the producers that the film would not perform well if they stray far from the original ending of the novel. She hopes that Small Great Things is a bigger success as soon as a screenwriter has been chosen, especially as there are talks that Julia Roberts and Viola Davis have been cast as the main characters. Her next book will pose the question “Who would you be if you weren’t who you are today?” and hinted that elements of Ancient Egypt may also be included. The most exciting part of the event was meeting Jodi at the end and having my photo taken with her. As I read chapter after chapter of A Spark of Light, I realise that I also look back more on the points she discussed and start to analyse them in greater detail. It is another though-provoking and moving book and I am greatly enjoying it so far (review to follow shortly!). This was her last event in the UK but for any fans based in Canada, her final stop will be Toronto on Monday and I highly recommend going! Oh Jennifer, it was just so great! I was also fascinated to hear that she had an unpublished romance novel. Thank you! I have just finished it and am left with so many thoughts buzzing around in my head, which I think is exactly what Jodi Picoult aspired to do. This sounds like such a great experience, from being able to hear her speak to meeting her at the end. I’ve read a few books by Jodi Picoult before and enjoyed them. I’ve got this on my TBR but I’ve also heard some pretty negative reviews of it so I’d love to know what you think about it and whether you’d recommend it. Great post! Thanks, Kelly! ❤ I did really enjoy the event. I've recently finished A Spark of Light and I can see where the negative reviews are coming from – this book is more violent than her usual ones and there is one particularly distressing scene linked to an abortion that I feel should not have been included. Having said that, I loved how thought-provoking and brave it is and I would definitely recommend reading, if only just to reflect on some of the very important questions it poses.